One of my favorite indie games of all-time is Studio Pixel's Cave Story. The title has made its way onto a variety of platforms since its initial PC release in 2004, with various tweaks and improvements, but the forthcoming Cave Story+ (Plus) on the Nintendo Switch will get the greatest feature of all: local co-op. 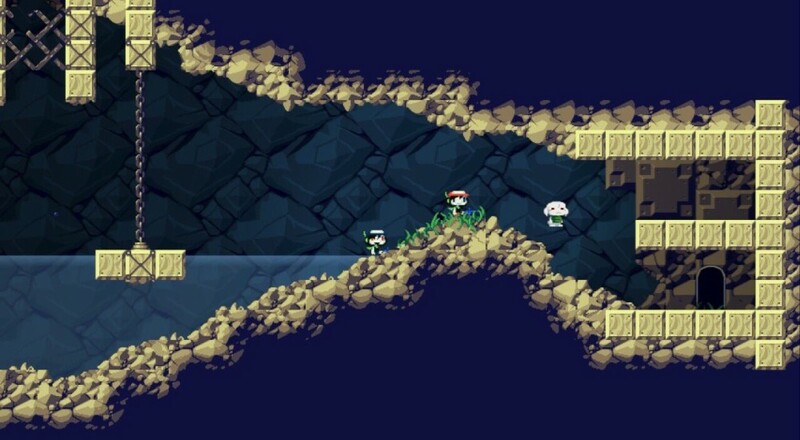 At its core, Cave Story can be lumped into the broad category of "Metroidvania." You explore a mysterious floating island, gaining new weapons and abilities as you progress that allow you to access areas you previously couldn't. There's more to it than that, however, and a pretty deep story as well. It's game that I can unequivocally recommend to anyone and the fact that it will finally have some kind of co-op option makes it even easier for me to do so. The news of the local co-op addition came last week from publisher Nicalis' Twitter account. It seems that this will not be a feature available when the game arrives next month, but it will be added in a free update later in the summer. Cave Story+ on the Nintendo Switch will support two player local co-op once that update arrives, and will allow both players to play through the entire campaign together.